Serving everyone from children to the elderly, Dr. Sims will take the time to consult with you about your vision to ensure it is the best it can be. 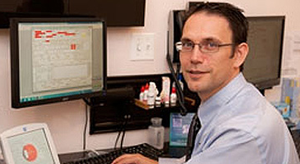 Dr. Sims is a member of the American Optometric Association and is totally committed to his patients visual health. Comprehensive eye exams are available, and most insurance plans and Medicaid are accepted. According to Illinois law, all children entering kindergarten must have their eyes examined.